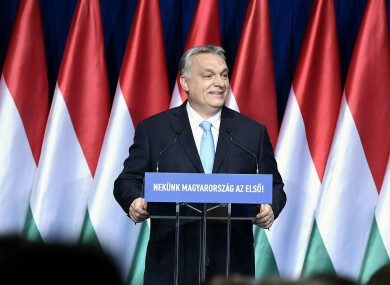 Hungarian Prime Minister Viktor Orban delivers his annual "State of Hungary" speech in Budapest, Hungary. Email “Hungary to give women with 4 or more children lifelong tax exemption”. Feedback on “Hungary to give women with 4 or more children lifelong tax exemption”.